In the Luberon, many restaurants, hotels and resorts close the weekend after Armistice Day on November 11 and the Calavon Valley hibernates — a chilly slumberous sometimes rain-lashed place — until mid-March. In some quarters Anglo-Saxon types hold to the tradition of seeing fall out by gathering for a toast of malt scotch at a tony bar. Now, if you find yourself in Provence and pine for a smart and proper salute to the season’s end, surrender yourself to the culinary imagination of “Chef of the Year 2011” Edouard Loubet of the Domaine de Capelongue who takes this concept to a thoroughly delightful, higher level: a “Gourmand Day” with not one cook mind you, but four hugely talented chefs enlivening your palate with the fresh flavors of Provence. The line-up summons up a Master Chef reality show: Edouard Loubet of the Domaine de Capelongue; Philippe Jego of the Cap d’Antibes Beach Hotel; Christophe Renaud of the Domaine de la Coquillade, and Jacques Chibois of the Bastide Saint-Antoine. The festivities begin with an “Atelier Cueillette,” a workshop of picking wild herbs, and a visit to the gardens of the Domaine de Capelongue, followed by a wine tasting. The soigné evening takes its first notes from a jazz ensemble at sunset. The gastronomic affair features champagne and wines paired with each serving by Moët Hennessy. There is no published menu. One always appreciates riveting discoveries and pleasant surprises; the evening foretells a bracing sensual adventure. 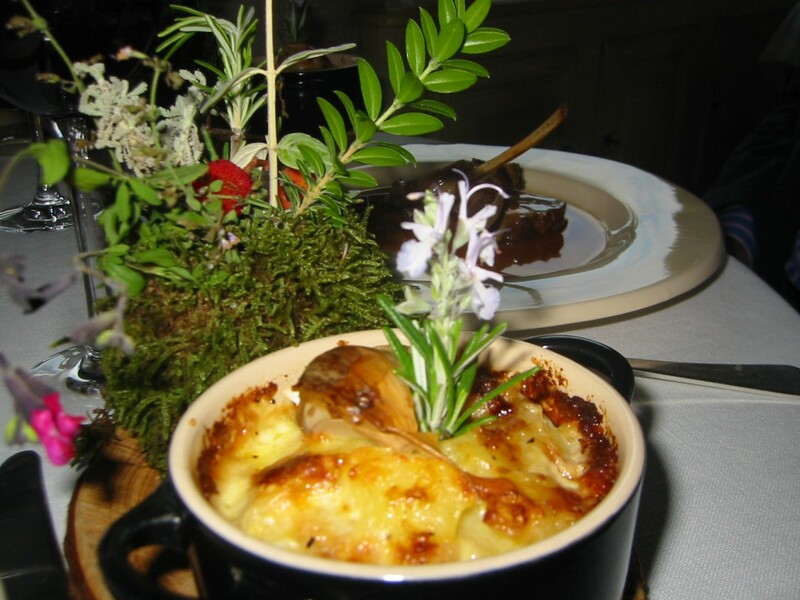 There is a reality cooking program in France called “Un Diner Presque Parfait.” For this elegant repast at the Domaine de Capelongue, one can dispense with the ‘Presque’ in that title. Directions: From Cavaillon or Avignon, traverse the village of Bonnieux direction Lourmarin. 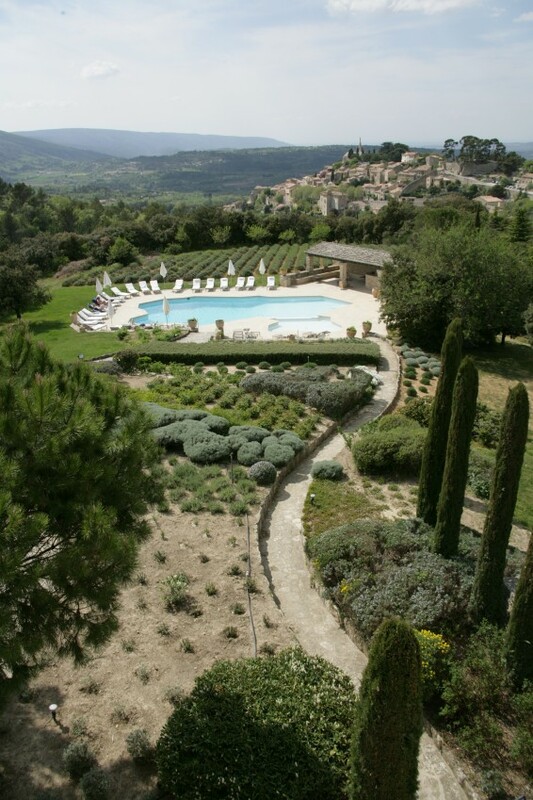 The Domaine de Capelongue is on the hillside to your left exiting the village. Signage is well-placed.